Next Sports Phenom was in the building with about 50 unsigned prospects and about a dozen division 2 and division 3 coaches to see some very talented players that came to showcase their skills to their future potential college coach. The DMV has had quite a few unsigned player events in the past but this event had a unique twist. First off, it wasn't marketed only to the senior class but had juiniors as well which was a plus for coaches with limited space in the 2019 class. Secondly, the games were all video taped and available to coaches that weren't able to attend. Finally, the event was free to players who were invited to play. I personally liked the one court format that allowed coaches to focus on each player as opposed to multiple courts competing for their attention. Each player played in three full games a piece so that they would not get overlooked with the 6 teams having less than 10 players each. As previously stated there was a lot of talent and several players caught me by surprise seeing that they were still available. 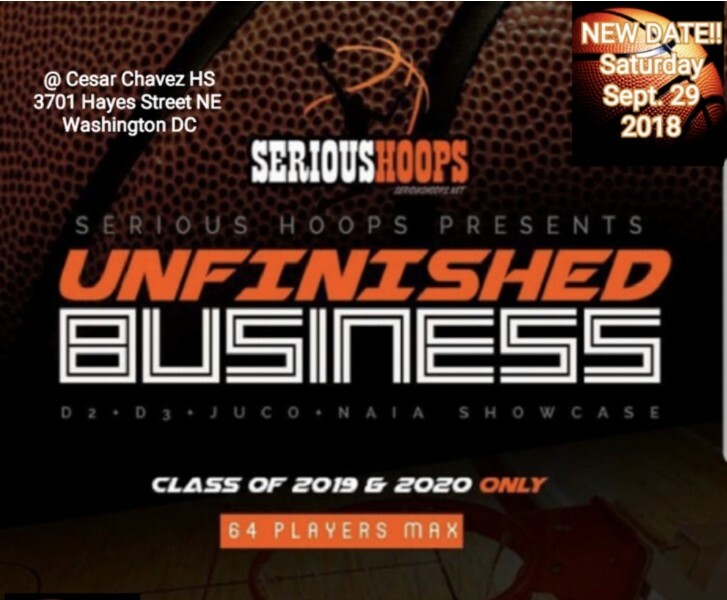 At the end of the day many of the players left an impression on the coaches in attendance and other coaches that will view these game via video, also in the building was Serious Hoop's Al Schell, who has a great relationship with college coaches and actively shares information about unsigned players with them. Tian has been one of the top long range shooters in the area since middle school. She rose early in the recruiting circles with her ability to score from either guard position and run a team. Injuries caused her to fall off the radar a bit but, seeing her back and healthy shows she hasn't missed a step. 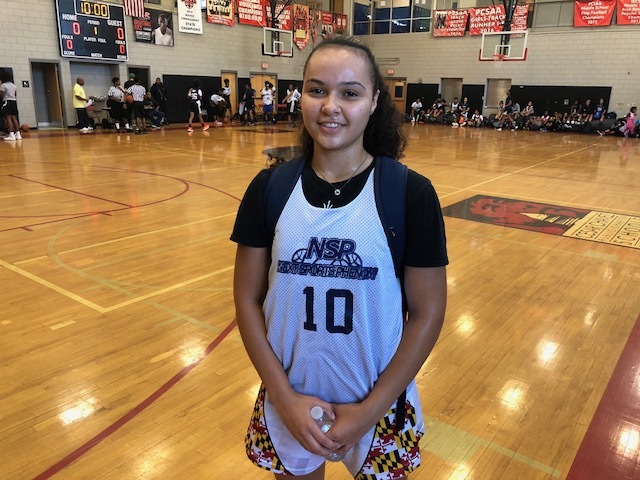 She will be the senior leader at Elizabeth Seton in the powerhouse WCAC this season and is expected to make a huge impact to help lift Seton into the top of the conference. Janya's pull up jumper is a thing of beauty. She was able to get off and make her signature shot consistenly against multiple defenders. 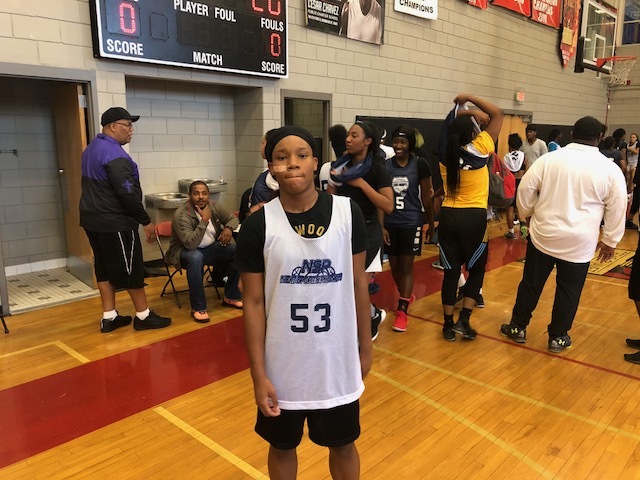 Poly has been consistenly around the top of the Baltimore area public schools and Janya is set to lead them with a big year. Nycerra is long and athletic which is something that college coaches crave. She finishes well with both hands off the rebound or the drive. 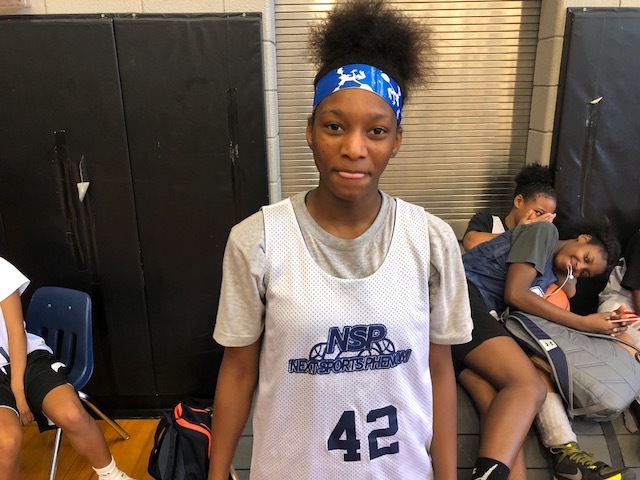 PG County public schools don't get a lot of attention which makes her a great sleeper pick up for a coach looking to add an impact player. Maiya had a great nose for the ball playing hard on both ends of the floor. 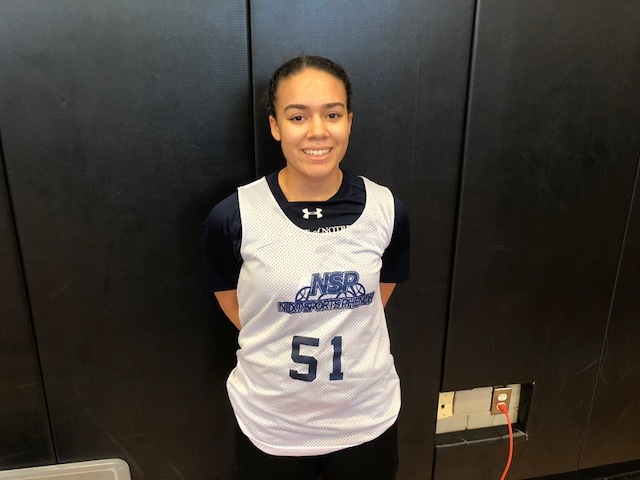 Offensively she shoots well and can score off the dribble, she is a good perimeter defender that plays the passing lanes well. Nyah should win the award as the toughest player on the floor. She almost didn't make the event due to illness, however, when she was on the floor you had no ideal that she was ill, unless you caught up with her between games seeing her doubled over taking in fluids. She is a lock down defender and was usually the first player down the court on both ends. She attacks very well after the pump fake and can knock down the outside shot. Even at less full strenth Nyah was very impressive. Cache was one of the better players in transition and created her own offense with steals leading to fast break layups. She and Lilly pairing up at Poly this season makes them a state championship contender. Grace has the long range game down and is a threat once she passes half court. 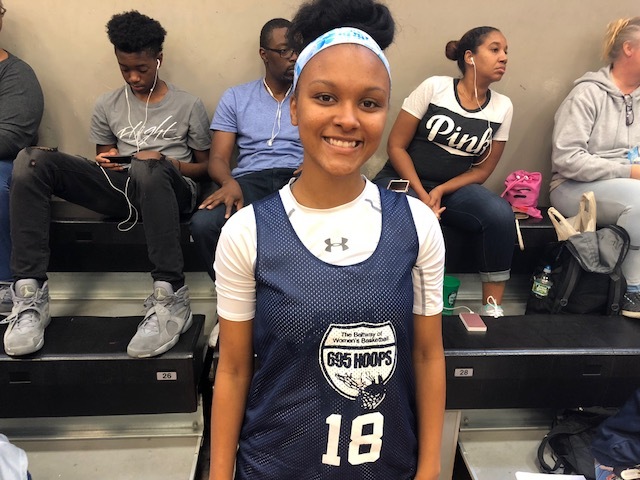 She has good vision at point guard but, her accurate shooting will hold the most value on the next level as many programs need players that can stretch the floor. 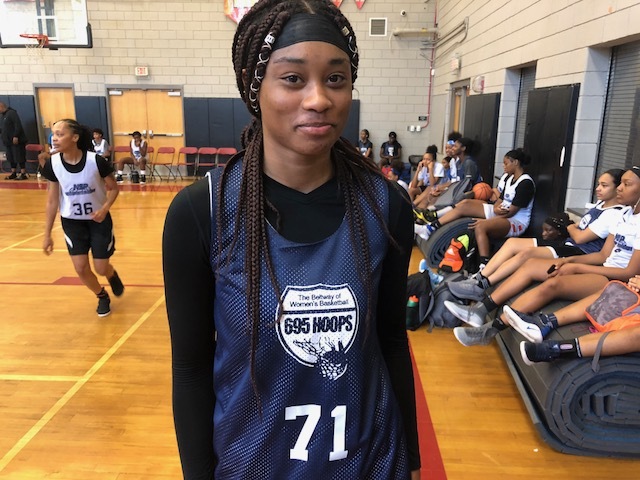 Tiffany is a lefty with a strong body that can shoot and dish well. She shot the ball very well during the day. 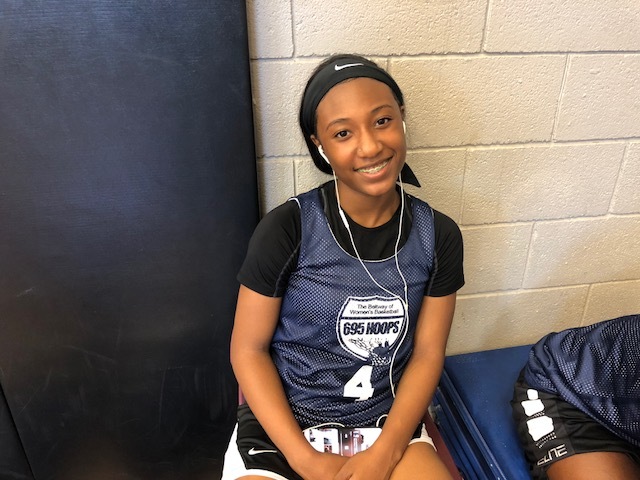 Anytime that you have a 6 footer that can knock down three pointers you have to take notice and Janiah had the coaches noticing with her combination of shooting and size.